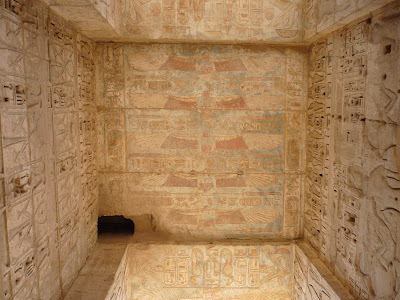 For a long time Medinet Habu was nothing more than a very rich quarry from which large squared blocks of stone could be obtained. In the Christian era a village grew up here which the Copts called Djeme and which occupied a large part of the zone where the temple used to be. In fact this new use of the area preserved many remains which might otherwise have been lost. The excavations brought to light traces of a whole city which extended around the Pharaoh’s palace, but only a single house has been uncovered in recognizable form, that of an inspector of the necropoli. 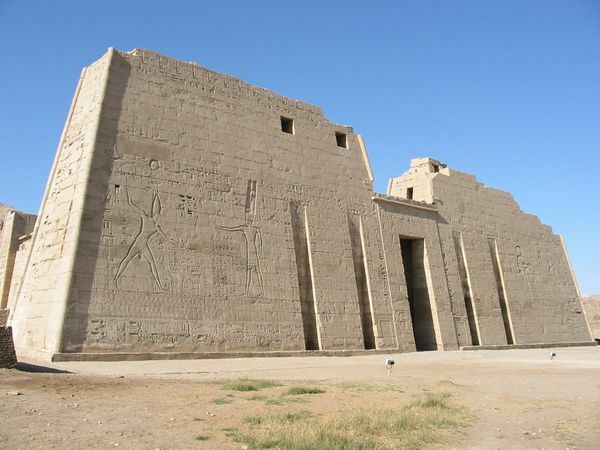 The temple of Ramses III is stylistically one of the most perfect buildings which Egyptian architecture has left us. Beyond the pylon which is 63 metres high and decorated with war scenes, one enters a first courtyard one side of which is taken up with a gallery having Osirian pillars. 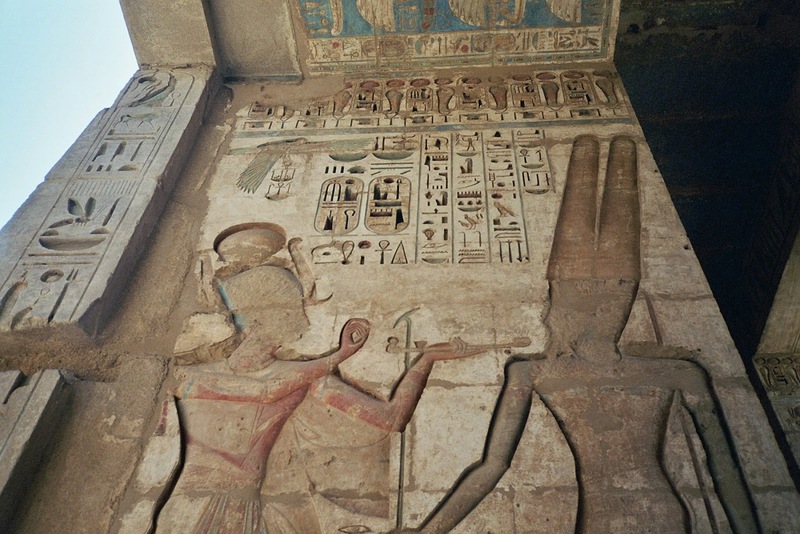 Beyond other pylons and other courtyards one eventually arrives at the last hypostyle hall which is dominated by a group of statues depicting Ramses III with the god Thot. Not all the decoration in the temple of Medinet Habu is militaristic. 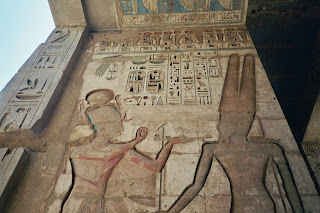 For example on one of the architraves the goddess Nekhbet, depicted as a vulture, protects Upper Egypt and, symbolically, the whole temple.